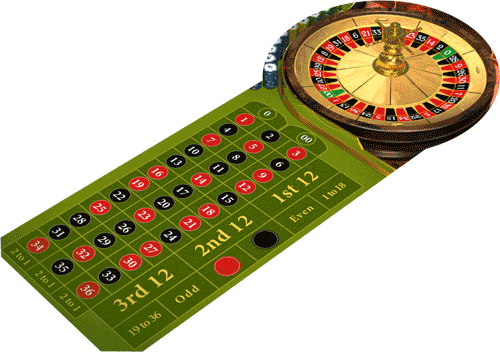 Have you ever played at an online casino and noticed that there are two or more versions of roulette? Two of the most common variants you will find are the American roulette table and a European roulette table. Both of these roulette games look suspiciously similar. But are there actually any differences between American and European roulette? American and European roulette compared. European roulette table and wheel. American roulette table and wheel. Notice the extra green “00”? The single biggest difference between these two games is that American roulette has an extra “00” number. Honestly, if you just took the 00 away from an American roulette table you would be left with a European table, sort of. 1) The green numbers / total number of pockets. As already mentioned, American roulette has an extra number on it’s roulette wheel (the double zero– “00”). The house edge in American roulette is almost double that of the house edge in European roulette. This is all thanks to that additional 00 number. The bets and payouts in each game are exactly the same (e.g. 1 to 1 for a red/black bet, 35 to 1 for a straight number bet), and so the presence of an extra green number only acts as a way of decreasing your odds of winning. 3) The order of the numbers on the wheel. If you look closely, you’ll notice that the extra 00 number hasn’t just been shoved in to an existing European roulette wheel layout. The order of numbers on the wheel in both games is completely different. This is hardly a big deal, but I thought that I’d include this difference for the sake of being thorough. 4) European roulette has the optional en prison rule. Some casinos will offer the optional en prison rule on their European roulette tables. The en prison rule is only ever applied to European/French roulette (and never to American roulette). Note: The “en prison” rule is where you get to spin the wheel again for another chance to win if you placed an even money bet (e.g. red or black) and the result was 0. 5) European roulette has “call bets”. 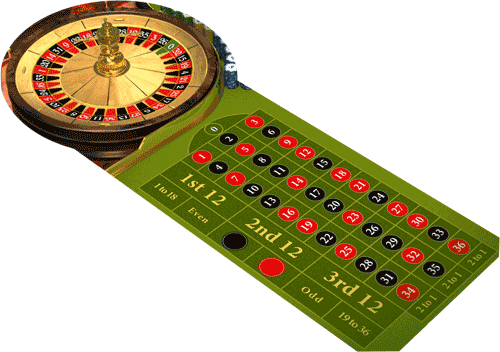 Call Bets (or “announced bets”) are predetermined bets that cover specific sections of the roulette wheel. These are only available in European and French roulette. For example, “voisins du zero” is a call bet that covers the same 17 numbers surrounding the green 0. There are a handful of similar bets to this one that can be placed using the racetrack that can be found at designated roulette tables. 6) American roulette has the five number bet. The “five number bet” is only available on an American roulette table. The five number bet includes the numbers; 1, 2, 3, 0 and 00. Hopefully you can see why this bet can’t be placed on a European table. This is probably a good thing though, as the house edge for this bet is higher than any other bet with a staggering house edge of 7.89%. It’s also the only bet in roulette that permanently carries a different house edge to the rest of the possible bets at the table. Note: The only other roulette bets that can carry an alternative house edge are even money bets when playing on a European table that uses the “en prison” or “la partage” rule. If either of these rules are in effect, the house edge is halved from 2.70% to 1.35%. If you like to win money, you’re better off playing European roulette over American roulette. Both American and European roulette are essentially the exact same game, except for that American roulette gives you worse odds. Just so you can see how your chances of winning in European roulette are much better, this table compares the percentage probability of winning with each type of bet in both variants. So why play American roulette? You have no other option. If you want to play some roulette and an American wheel is the only one available in the casino, then you’re going to have to stick with that. On the other hand, if you are playing roulette online you’ll almost always have the option of playing at either a European or American table. You are very patriotic. If you’re a US citizen, “American roulette” clearly has a much better ring to it than “European roulette”. You’re feeling lucky. Maybe you find having worse odds more challenging, and thus more exciting. There’s nothing wrong with playing on an American table if you really want to — nobody is going to stop you. The vast majority of gamblers enjoy winning money though, so if you fall in to that category you should play European roulette instead.